John W. Severin, 79, of Leigh, died Saturday, February 18, 2017, at the Douglas County Hospital in Omaha. Wednesday February 22, 2017 1:30 P.M.
John William Severin was born January 9, 1938, to Louis and Irene(Claussen) Severin, on the Severin/Rolfs Farm south of Leigh. He attended rural elementary school District #40 and graduated from Leigh High School in 1956. 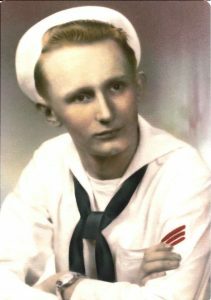 He joined the United States Navy after high school and served on the first missile ship, the USS Canberra. John's dad, Loius, died in 1959 while John's ship was cruising around troubled Cuba. The Navy released John to go home and take over the family farm. 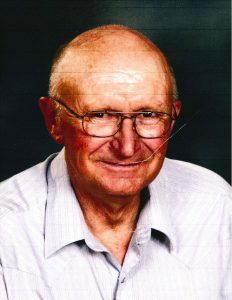 He received the Aksarben Nebraska Pioneer Farm Award for having the farm in the family for over 100 years. He was a member of St. John's Lutheran Church in Leigh. John married Judy Montgomery of Orchard, Nebraska and they had three daughters;Sarah(Keith) Strizek of Valparaiso, Theresa(David) Clemens of Atkinson, and Rachel Severin of David City. He has a granddaughter Miranda Strizek and three grandsons; Anthony Strizek and Daniel and Dalton Clemens. Besides farming, John also drove the Leigh School Bus, worked at the Clarkson Bakery and farmed for Frankie Charipar. He loved gardening, canned the best dill pickles and made a very tasty pot of chili. His favorite pastime was dancing to his favorite band, the Duffy Belohrad Orchestra. (The only Lawrence Welk Protégé). He won awards in dance contests and still danced with the staff at DCHC while in his wheelchair. He should have been a comedian with his quick comebacks and would make the nursing staff and guests laugh as then wheel away with an ornery grin on his face. He loved to fish and would visit the Leigh Lake even though he was no longer able to fish. John is survived by his children and grandchildren, sisters; Alice Noonan of Omaha, Judith Black, Kirkland Washington and Carol Severin, Great Falls, Montana, and one uncle, Willard Claussen of Grand Island. He was preceded in death by his parents, brother James F. Severin, sister-in-law Janice Shrage Severin and brothers-in-law Peter Noonan, Keith Black and David Shadrick.